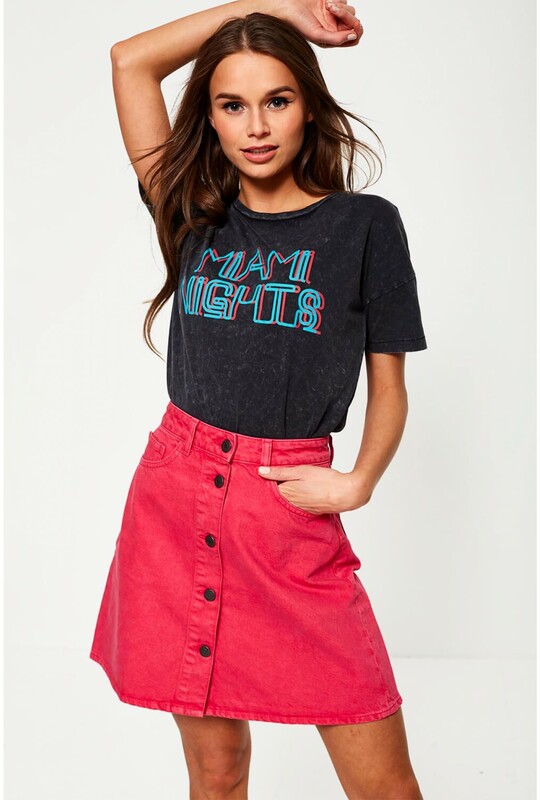 We are obsessing over slogan tees this season, an easy piece to wear with denims and skirts. 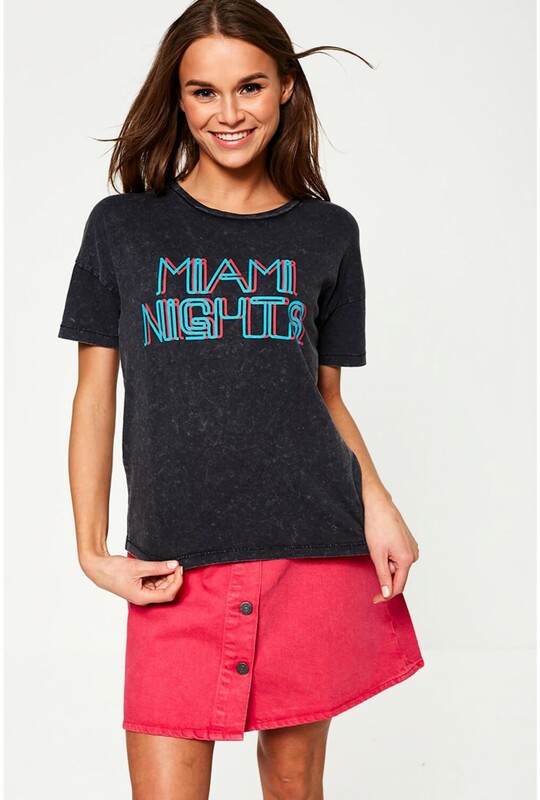 This cotton t-shirt in washed out grey, features short sleeves, 'Miami' slogan and in a loose but not over-sized fit. Style with a fuax leather jacket and skinny jeans.